How do you know if a yoga style is right for you? The key is whether a particular style balances you or throws you further out of balance. You can begin by looking at yourself. Are you anxious and jumpy, for example, or are you lethargic and unenergized? 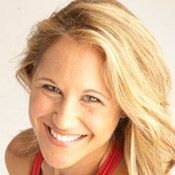 Jennifer explains how to assess yourself and then take your yoga practice from there. She urges yogis to learn something about ayurveda (the science of staying balanced). Yoga isn’t about fitness, she says. It’s a powerful tool for balance, integration, and empowerment. It’s a tool not only for your body, but for your life.